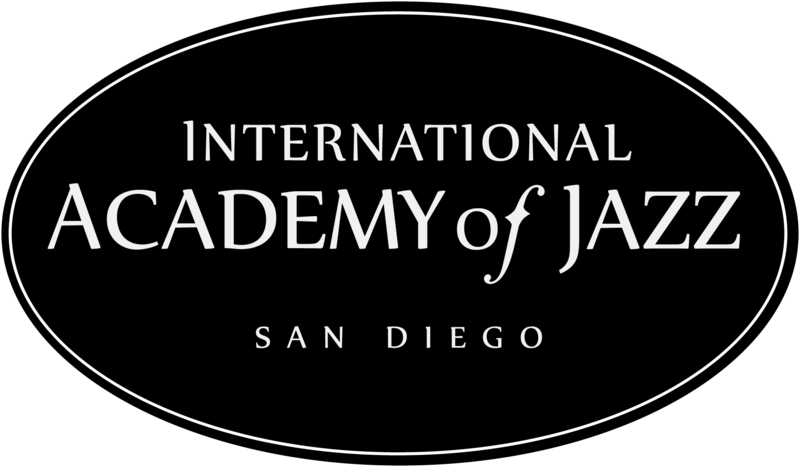 Founded in 2014, the International Academy of Jazz San Diego (IAJSD) is a unique after-school music enrichment program for young people ages 10 to 18 who have a desire to improve their jazz skills beyond the scope of what typical local school systems may offer. Patterned after the many successful local after-school youth symphonic programs, the IAJSD features jazz ensembles of various sizes geared towards performances. In our 2015-16 season, our advanced students performed two concerts at Symphony Hall (TedX San Diego and Jazz @ the Jacobs) for crowds of more than 2,000. 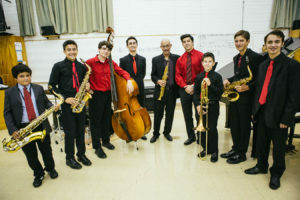 Our students have been selected as finalists for the prestigious Next Generation Jazz Festival for the previous two years, and have traveled both years to Monterey, CA to compete. Students are placed at appropriate skill levels in ensembles led by our instructors. We rehearse at Grossmont College each Saturday during the school year for an hour and a half. A 501(c)(3) non-profit organization, IAJSD is led by a dedicated group of individuals and assisted by a volunteer Board of Directors and Advisory Board. Please click here to see our Board of Directors. Photos courtesy of Robert Sanchez.